“A writer needs wide latitude so she can bring all her intelligence to the task,” Ralph observes. 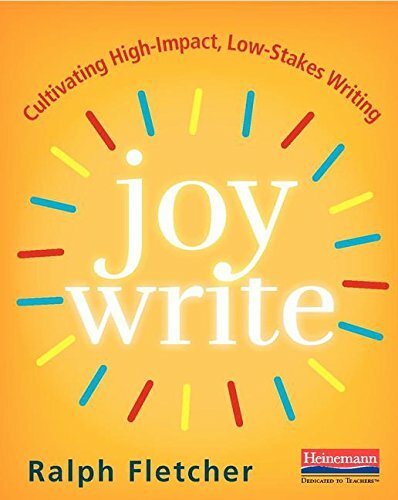 “Assigning a particular format-a hamburger essay, for instance-would curtail this play, if not eliminate it entirely.” That’s why, instead of teacher-driven assignments, Joy Write shares the whys and the how of giving students time and autonomy for the playful, low-stakes writing that leads to surprising, high-level growth. First Ralph makes the case for carving out classroom time for low-stakes writing, despite pressure to focus on persuasive essays and test prep. Then he shares five big ideas for choice-driven, authentic, informal writing-deeply engaging work that kids want to do. He also provides numerous suggestions for helping students build and flex their writing muscles, increase their stamina, and develop passion for expressing themselves with the written word.